Okay, so this semester sucked and I’m glad that it’s finally over. I was juggling so many things (probably too many things) and all the willpower that I had at the beginning of the semester ran out. 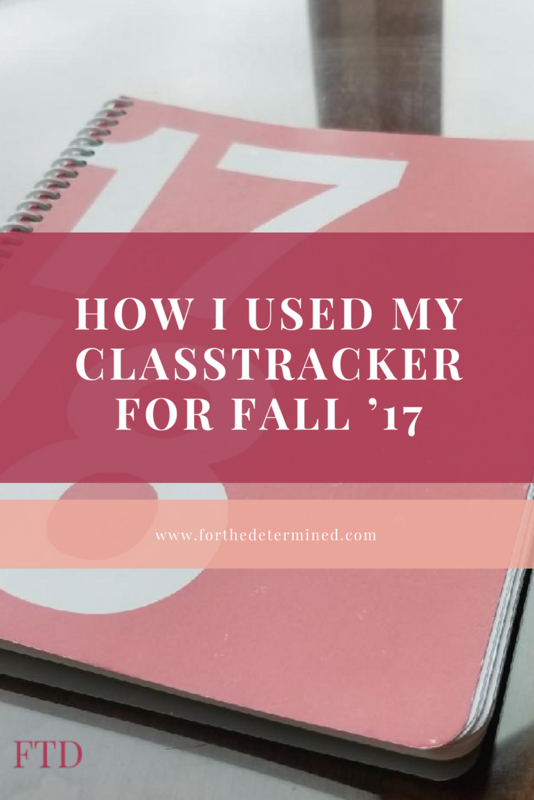 For that reason, I’m going to take some time to recover so that I’m all set for the Spring semester, but first I want to talk about how I used the ClassTracker to keep my life together. 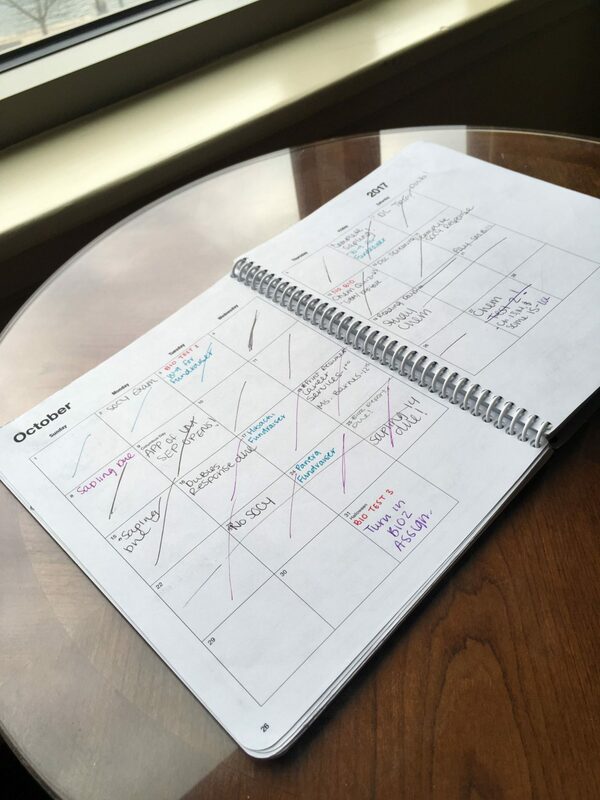 I would occasionally pair the ClassTracker with my planning sheets from Target, but other than that, I exclusively used the ClassTracker to keep up with all of my assignments and activities. 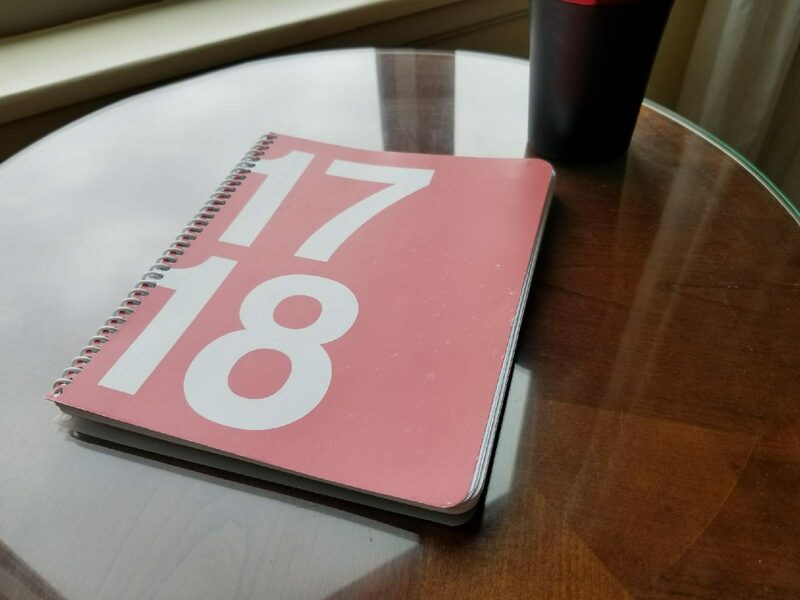 It’s so simple that I didn’t really have to put much thought into how I was going to set up my planner for the year. For each of the weekly breakdowns, there are 4 (technically 5) sections: “Remember to”, “Quizzes, Exams, Papers, Projects”, “Assignments”, “Activities” and a space for To-do lists. I used this section to remind myself to complete small tasks like inserting a graph or table into a lab report. 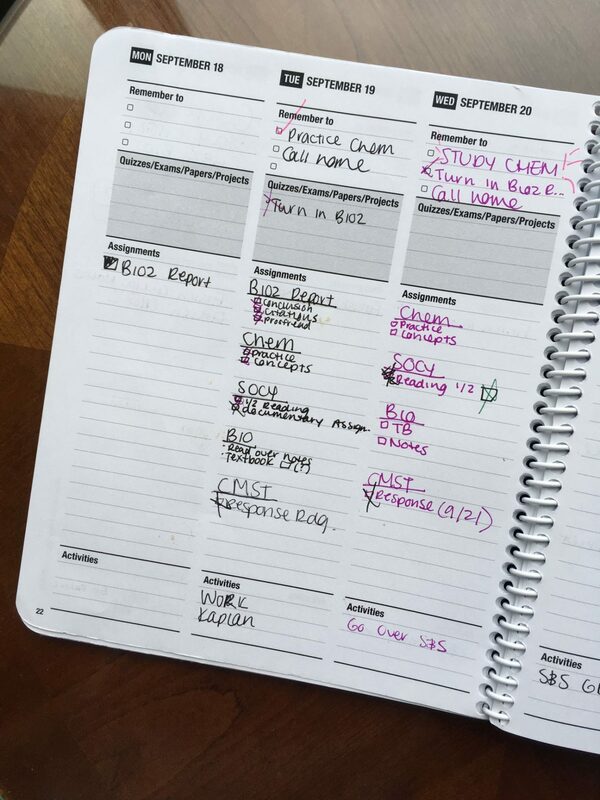 Looking back, these small tasks were to be done right away and being that this particular section is right at the top of each day, it makes it easier to remember to tackle those things. This is pretty self explanatory, but as the name of the section suggests, I used this section to remind myself of an exam or the due dates of big assignments. Earlier in the semester, I noticed that for the week leading up to the exam, I planned to study a certain topic for each day. Okay, don’t mind my chicken scratch, but here’s how I organized the things I needed to get done. This section was super helpful. I broke it down into my individual classes and the assignments for each class served as sub-groups. Each assignment was listed based on priority, so those things with earlier due dates were listed first. I also put check boxes next to each item in which I would check if I completed the assignment or shade in halfway through if I didn’t finish it. Here, I would jot down events going on on campus or meetings. I pretty much used these spaces for the same things like laundry or general cleaning. If you’re looking for a planner for the new year and don’t really care for the “bells and whistles”, get the ClassTracker. It’s simple, but it gets the job done and I’m probably never turning back lol. S.N.// Looking through the earlier pages of my planner I noticed that a few of the pages were empty which means that I (more than likely) was a slacker that week. I realized that I really need to focus on discipline next semester and thanks to the “Be Your Best Notebooks”, I’m hoping I’ll be able to truly hone that skill. I’ll be sure to come back and write a review on the notebooks, I just have to get my goals together first. 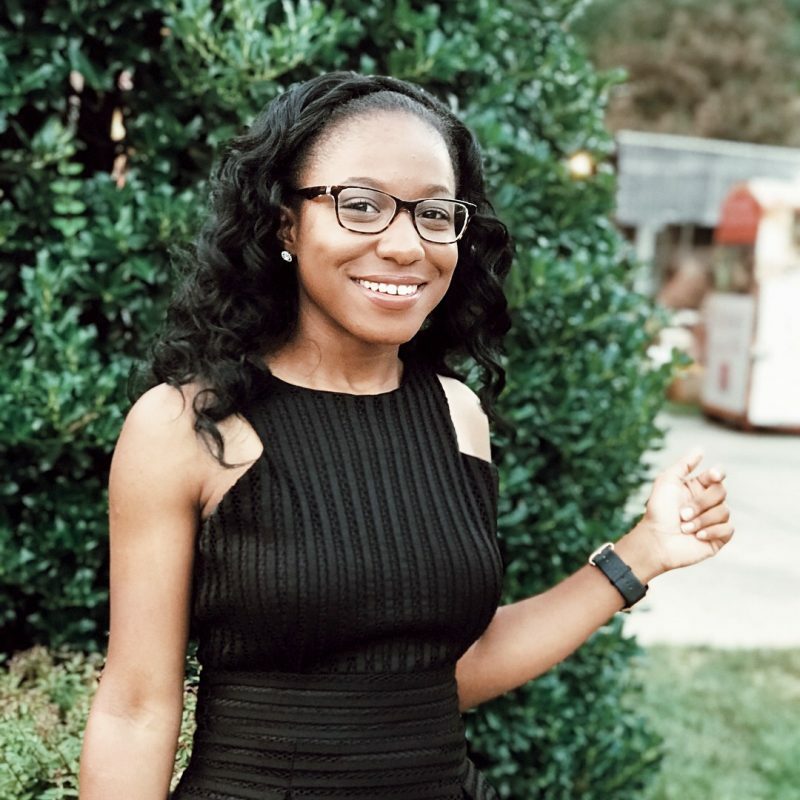 I received the ClassTracker for review and all opinions are my own.